I found this great roasted onion soup recipe in an upscale food magazine from a Northeastern U.S. supermarket chain and while I love onion soup, oddly enough I had never made it before. Onions actually belong to the lily family - the same family as garlic, leeks, chives, scallions, and shallots - and provide numerous health benefits including colds and cough relief, cardiovascular help, and cancer prevention. Roasting brings out great complex flavor in onions and the combination of roasting the onions and then smothering them in red wine produces the most flavorable onion soup I have ever tasted. I hope you enjoy it as well. 2. In a large roasting pan, toss leeks, yellow and red onions, garlic, oil, salt, pepper, and thyme until well mixed. Place on middle rack and roast for 30 minutes. 3. Remove from oven, add wine, and stir well. Roast another 15 minutes. 4. Remove from oven and transfer onions to a large pot. Use 1/2 cup broth to scrape up any bits clinging to bottom of roasting pan. Add this and remaining broth to pot with onions. 5. Simmer soup, partially covered, for 30 minutes. Taste for seasoning. 7. Serve hot, each bowl topped with 1 or 2 croûtes and a sprinkling of parsley. Sound fantastic. Its hard to find onion soup here in the UK, like they make back home. Now I have a craving for it. I'm actually going to make this next week. Sounds awesome. 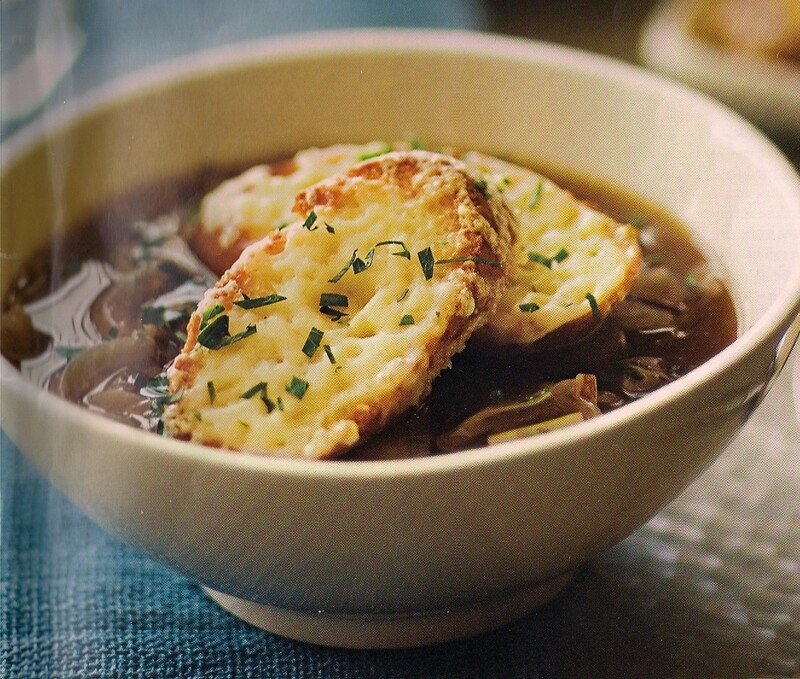 I probably make some variation of french onion soup every month or two - my favorite. Thanks and hope all is well!